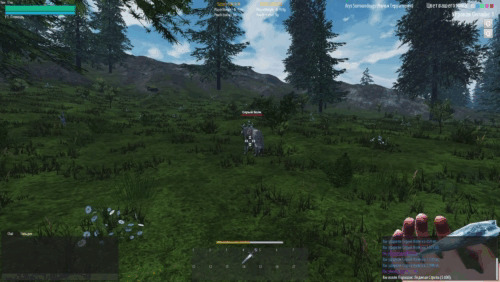 It’s time to share our progress in the Reign of Guilds development with you in development blog. Today we have prepared extremely interesting, as we believe, information. 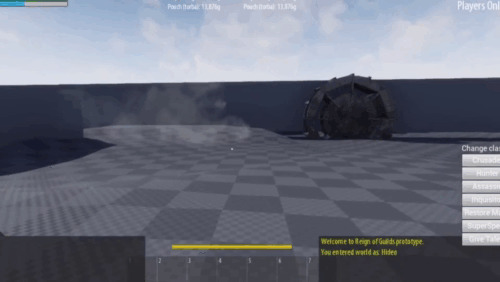 You know that transition from the prototype stage to the early alpha goes through a huge layer of work and it’s extremely hard to visualize and absolutely uninteresting to players. But we decided to tell you what exactly we had been doing. The world of Reign of Guilds is out there, like the truth of Mulder and Scully! When 4 continents were created in WorldMachine, we’ve immediately faced several game design problem. It all started with mountains – their slopes were totally flat and as a result, materials of these mountains laid low, evoking despair even to game designers. We changed the relief of all mountains – now there is no flatness but snow and grass on the ridges. In terms of realism hills add credibility to the world. 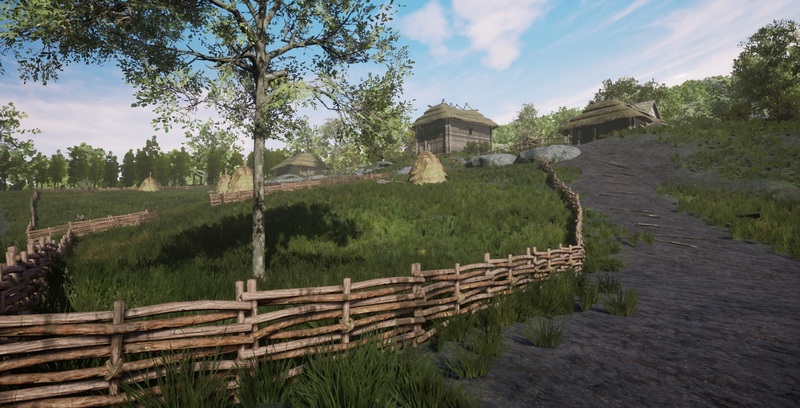 In terms of FP game convenience, a long play session would have been difficult because of the hills, that is why we’ve added plains. Banks of big rivers were too steep and not beautiful enough to us as well, so we had to make new riverbeds. Now river banks are flat, rivers are calm, so Game-designer’s inner demon of perfectionism is satisfied. 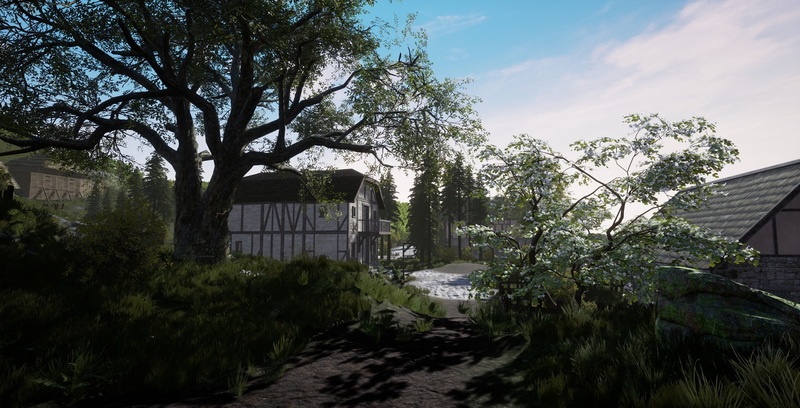 Along with topography adjustments, we were selecting and optimizing 15 landscape materials for 4 climatic zones (winter, autumn, summer and hot summer). These materials, called layers, are layered to each other, that allows creating huge variety of combinations (for example, we put snow on dirt and suddenly we get ... dirty snow). 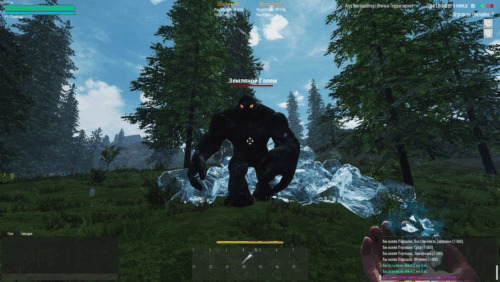 Do you remember us preparing a bunch of biomes? 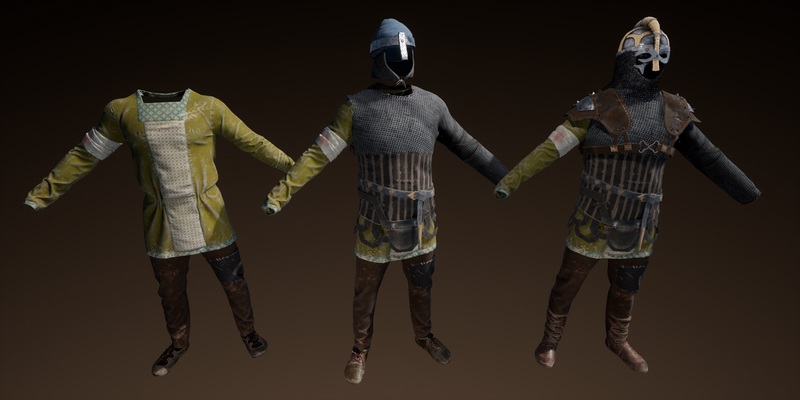 So, we have taken their introduction in the game world seriously. 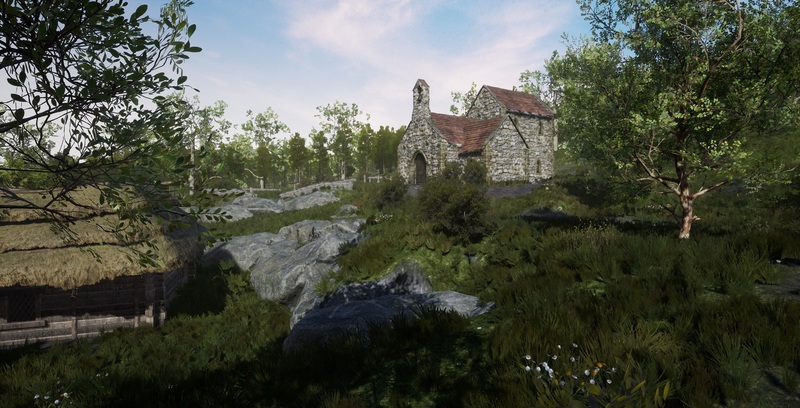 The SpeedTree program has taken over the eighth version, becoming a really essential assistant to game developers all over the world. 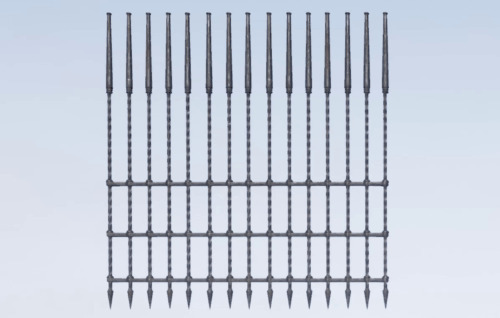 Plants generated by the eighth version have not only become several times better in terms of quality and optimization, but the functionality has became wider and more convenient as well. 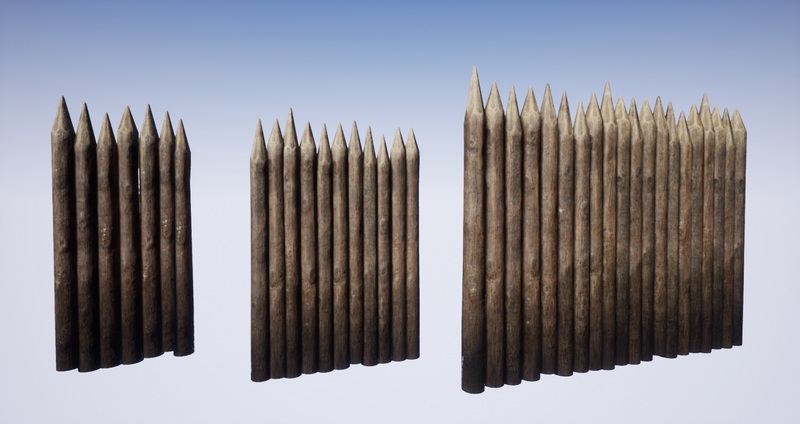 Now, it allows creating realistic plants at the previous optimization level and sometimes even improving it. We could not miss such a gift from above. Therefore, we rolled up our sleeves and started selecting biomes 2.0. We adjusted loads, seasonality, wind behavior, and as a result we have got something that is much superior to the prototype in the picture quality. In the end, we selected 12 types of forests of different variations (summer, winter, autumn, spring, coniferous and deciduous and large-leaved ones). 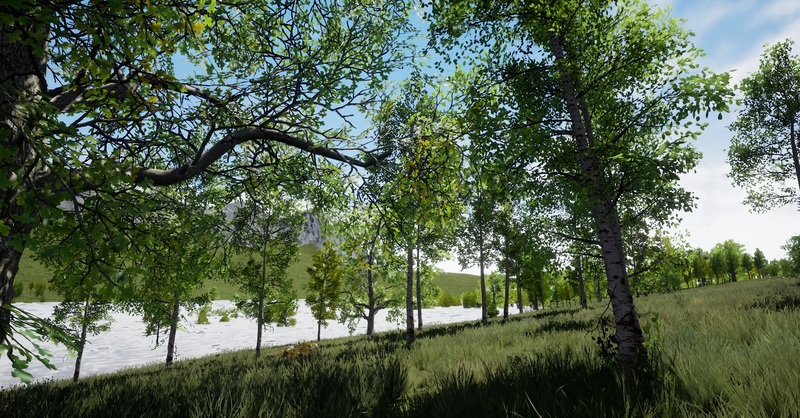 Forests were distributed around the world with the procedural flora application functionality. What is it? 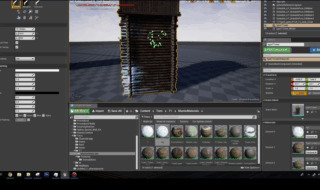 UE4 allows creating a kind of aerosol paint containers, but with a variety of trees, stumps, snags, stones instead of paint. In other words, everything that a developer and community wants to see in their forest. Settings of these “containers” allow creating absolutely unique and diverse territories. 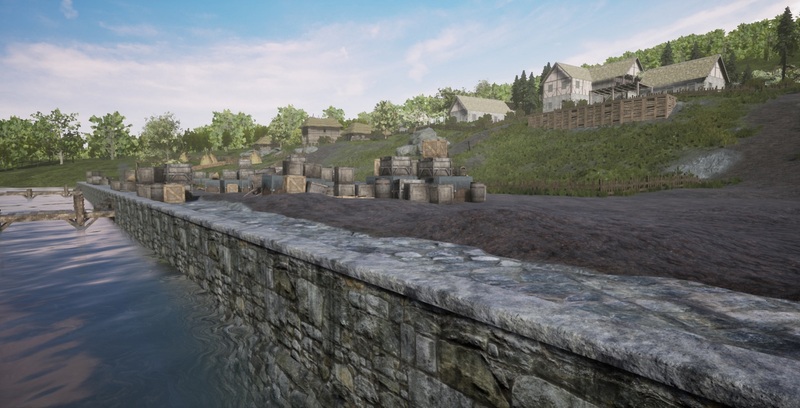 2.1 Walls, wall materials and other castle components Most events in the ROG world will take place around castles, there will be about 30 of them on each continent. Considering such a scale, we could not simply built a castle after a castle – there must be a structure to unify and simplify this process as much as possible, while preserving the diversity and uniqueness of each object. 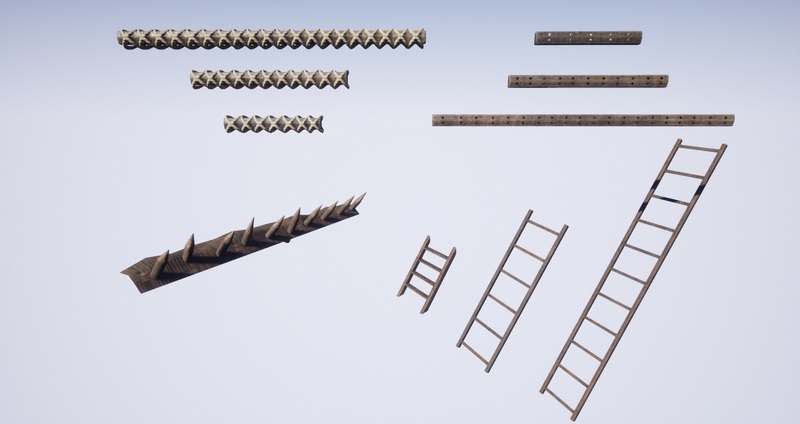 As a result, we prepared foundations for creating castles of different levels: in counties of the initial level, these are wooden structures that will be surrounded with a wooden paling. 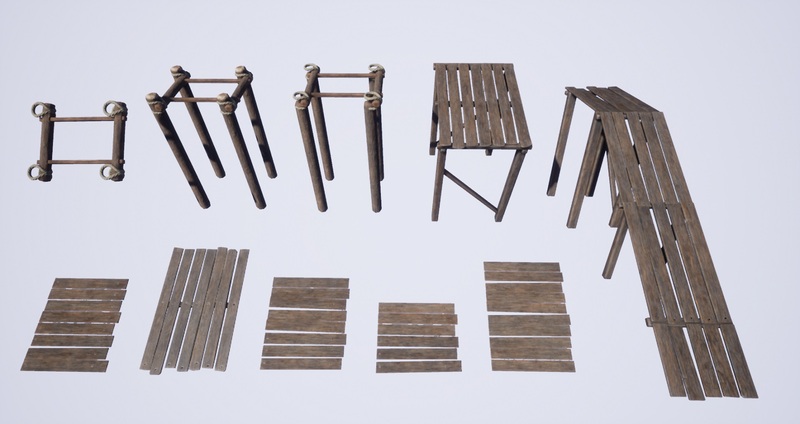 Accordingly, the design was based on various types of paling with different methods of joining logs, platforms and stairs. 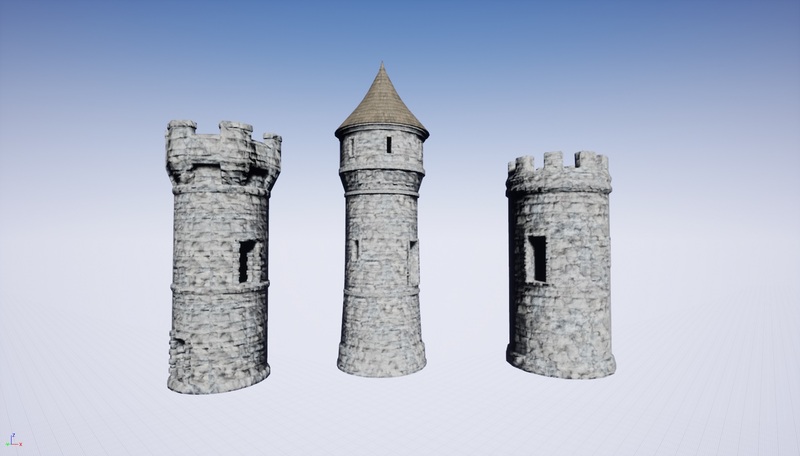 The use of these elements allows unifying each castle, everything now depends only on the level designer’s imagination. 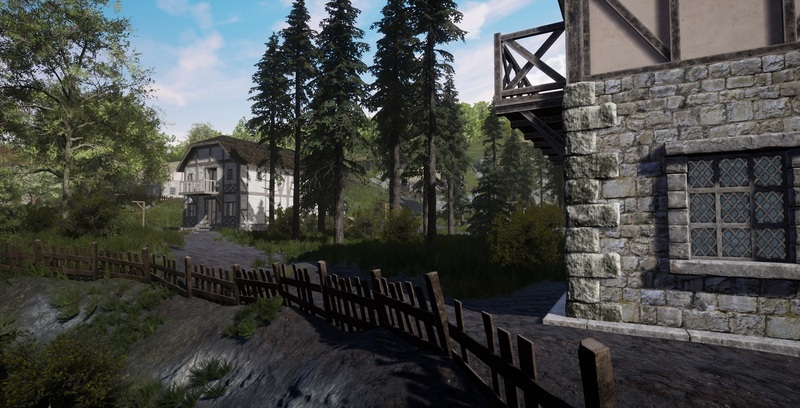 We are working hard not only on the diversity of the surrounding flora and fauna, but also emphasizing the history of individual settlements, breathing life into a variety of buildings. We modify them, as if these buildings had been exposed by time and the climate of the Reign of Guilds world. 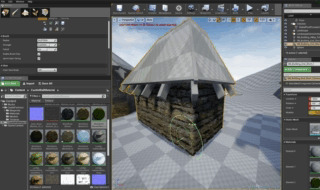 For this, a vertex painting tool is used, followed by procedural generation of layering different materials. Thus, objects that will be in the northernmost latitudes will be covered with permafrost, those in humid areas - with moss and mold. 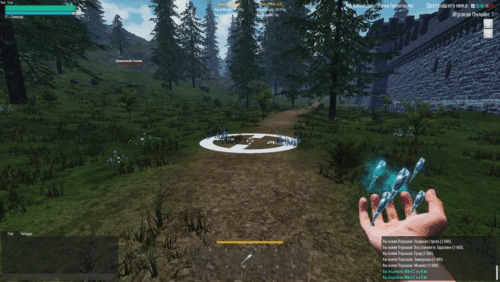 Stone arrow powder This magic mechanics is similar to the fiery arrow powder, the difference is in the speed of flight, distance, targeted area and stability. So that’s how it is! While it seemed like just taking a stone and throwing it. Rockfall powder Another gift from above is an AOE rain of boulders. In this case, the amount of gross damage is calculated separately for each character. That is, 2 characters with the same amour will be damaged differently under the same rockfall. Someone will be more lucky, someone less. 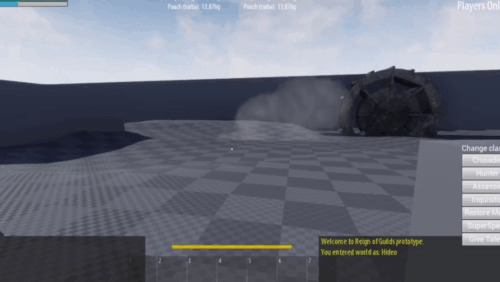 Unlike the fire puddle that you already know about, the rockfall powder has a higher duration and damage frequency. Freezing powder For someone, it is completely disable, but for others - a protection bonus. As people say, it all depends on the view. By the way, a frozen player will be able to look at the world through the prism of ice. Hail powder It is similar to the rockfall powder, but has its differences: boulders are not very big, so extremely lucky characters can find themselves between them and get off with only a scare. But if hit, the damage will be bigger than from a rockfall of a similar level. Shock powder The air magic is studied by Archmagicians, i.e. “the supreme class of magicians” (by the way, they are the only ones to call themselves that - ed.) At all the skepticism, this element is still something special, sacred and extremely difficult to master. Its main advantage is speed and distance. Here is the shock powder, for example. A target is hit almost instantly at a distance of up to 50 meters. But as a result, the damage is less, a damage area is small and inflicting the critical damage won't work. 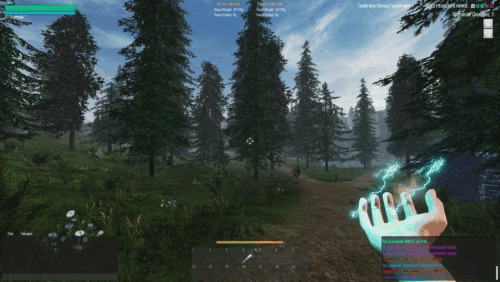 Lightning powder It has the same immediate speed as the shock power, but a more ​​damage area and higher damage. But everything has its price - less range and higher cooldown. Discharge powder The first powder in our game with the channeling mechanics. The damage per second is not very high, but it lasts long. The discharge powder is not very good for fighting at a medium distance, because as a character comes closer, it becomes very difficult to hit. But this powder shows very good results when fighting at a long distance and ambushing. Even crusaders change their minds to run into the crowd, which is protected by a couple of characters armed with electric shockers. Thunder powder Our first AOE of the air school. Different from spontaneous analogs in damaging only once: at the moment of hitting. At that, the hit is similar to the Assassin's hit and can cause either plenty or too little damage, depending only on your luck and on our formula, of course. Coming next is the compilation of the brightest moments of the battle for Aris on our Youtube channel, as well as in all official social networks! Besides magic, that is already embedded into the game, a number of other visual effects are waiting for their code. These are the first effects to be used as a combined magic. We actively discussed this mechanics on the forum and now the ideas of the most active and devoted players start to be embodied in the game. The ash powder is a result of mixing the air and fire magic - a black smoke screen, getting into which players lose the ability to see and get gradually damaged, slowly choking in the smoke. The snowstorm powder is a combination of the air and water magic. A player caught in these icy snow whirls slows down and can’t see a thing. The smoke powder is a combination of the air and water magic. The main purpose of using this magic will be limiting the visibility for characters that are in a foggy area. The closer to the present, the more often a game inventory is just a container, without cells, a field where a player drags 2D object icons. This is neither good, nor bad. 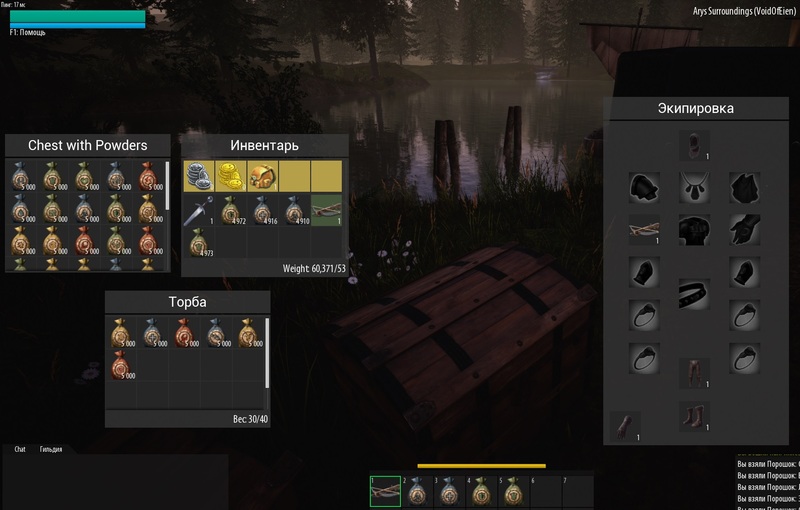 This is just a common practice and if there is no need to emphasize a certain game mechanics with the inventory system - why waste time of developers on it? Everything is a little more complicated in ROG. First, the specialty system in ROG is based on attributes instead of perks. Only 10% items in the world have a specialty requirement, which means that each player will be able to initially distribute the attributes of physical or magical development in order to gain an advantage over other players or simply to adjust a character to his style of playing. But what does inventory have to do with it? The reason is that up from a third to a half of the character’s attributes will be on the items put on him (equipped). It means that a character can carry a few sets of equipment for a short time change of specialty from a one-handed weapon with a shield into a two-handed weapon or temporary boring a certain attribute for self-buffing (putting on buffs). And now imagine - if you have one basket with all this junk? Is it easy to use? We think no, therefore we created several levels: equipment => inventory => main container (feedbag) => small and technical containers. Each level is limited not only in cells, but also the carrying capacity. The total load-carrying capacity is first reduced by the weight of character's equipment, then the weight of inventory and containers. 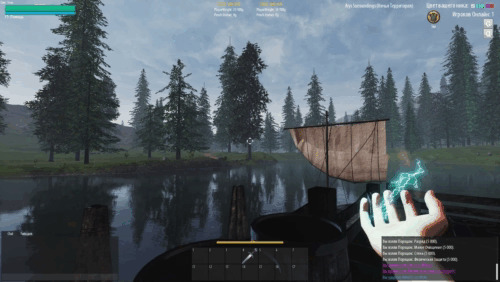 Such a multi-level system creates plenty of code lines due to a huge number of checks, including those when the server verifies the information coming from a client, so that some sly player does not put a few tons of ore into his pouch with certain manipulations. Secondly, absolutely everyone in ROG uses powders, mantras and weapons. To use these items, they must be taken in the right hand, i.e. they are no longer in the inventory, but in the equipment. Then they are returned back. Suprising, isn't it? 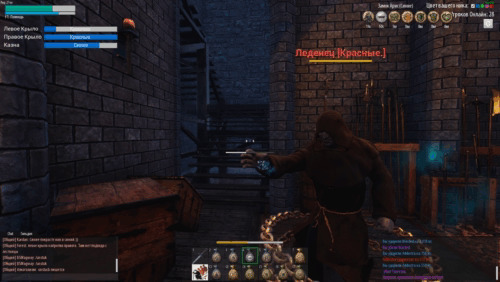 So, in order for objects not to change their order and some perfectionist does not have a heart attack, we had to develop a “item's shadow” system - when a sword is taken into the character's hand - it disappears from the inventory, but it's shadow remains there, so that it could be returned back when a player “takes off” the weapon. Otherwise, a player could have picked up some blade of grass in this cell and the precious sword would simply fall to the ground when taken off. Have you already felt the loss of this player? Thirdly, there is such a thing as karma. It affects not only the amount of lost experience, but also the number of objects lost at death. Details here . 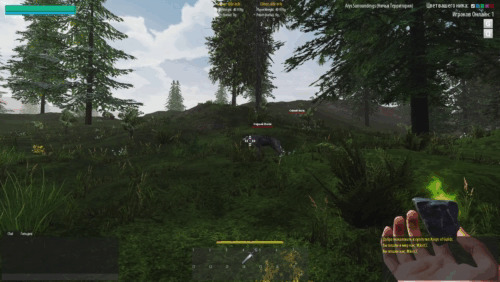 And we believe that players straight as razor blade should have really reliable cells in their inventory, that no one and nothing can make any item fall out from. 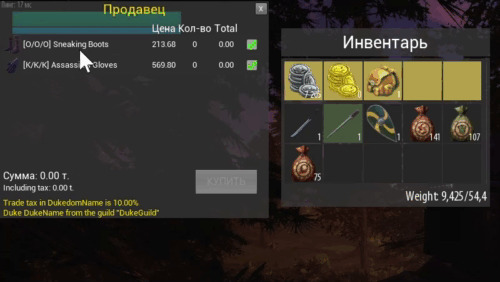 The purchase window can be divided into 3 fields 1) Merchant’s assortment presenting products sold by this NPC. In the vastness of ROG, there will be 10 types of vendors: a weaponsmith, armorer, jeweler, supplier, alchemist, sorcerer, traveler, innkeeper, librarian and speculator. Each of them will specialize in the sale of goods of their specialty. In addition to limited specialty offer, vendors also have a specialty demand – a weaponsmith does not really need armor, and he has enough weapons, but he will offer a very good price for the metal. 2) Basket. 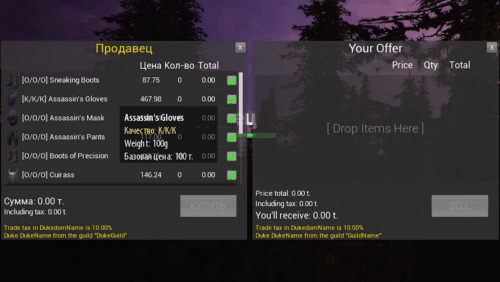 It displays the total amount of goods that a player plans to buy during a trading session with a vendor. It also displays information about the transaction tax amount, which goes to the Count. 3) Additional Information. This field contains information about the trade tax rate, the name of the guild, in which county the transaction takes place, and the name of the count - to know who say thank you to. [/nk_text][/vc_column][/vc_row][vc_row][vc_column width="1/2"][nk_gif type="click" gif="4249" static_image="4297"][/vc_column][vc_column width="1/2"][nk_text]The trade window has a more familiar format. A player puts goods that he wants to sell in the offering window. A vendor offers a price for them. If a player is fine with it, he accepts this offer. If the price seems too low, a player is free to take his goods back and go searching for another vendor with better prices. Do you remember the prototype right hand? Not only was it moving strangely, it also did not look fine. 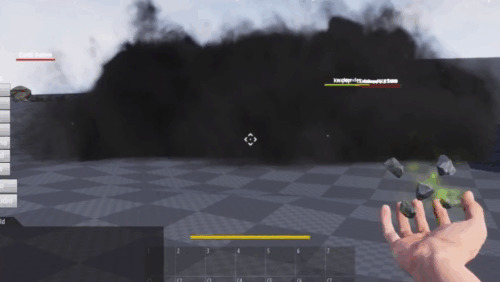 First person animations are in the process of redevelopment and we will tell you about them later, but we have solved the problem of the hand quality. It's all about FOV or field of view. At the prototype stage, the hand image quality was low, because it was perceived as a foreign object caught in the field of view. And, located on the edge of the screen, its quality was adjusted accordingly. 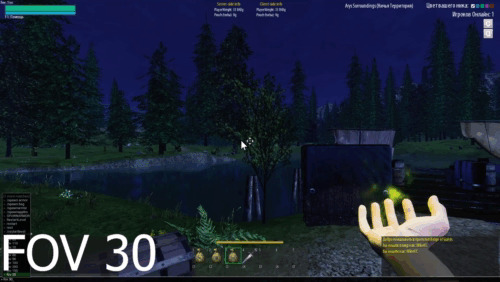 But our programmers have solved this problem by adjusting a customizable FOV for the hand. 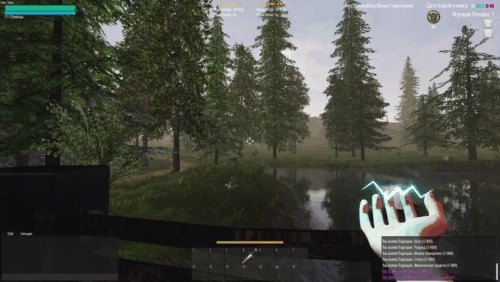 The FOV for the whole environment is 100-110 degrees, but 80 degrees for the hand. 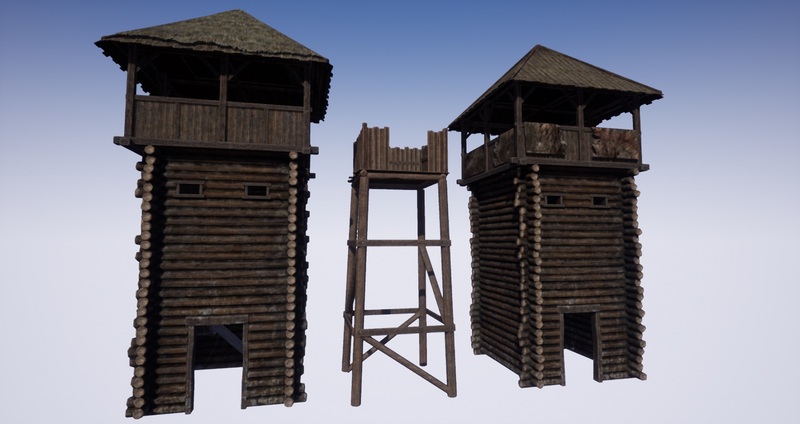 In conclusion of our devblog, we would like to tell you about the results of 3D modeling. Besides physical specialties, we did not forget about magicians. Therefore, we have prepared elemental robes of the first three levels. Robes have requirements for the corresponding elemental attributes: blue - water, green - earth, red - fire, white - air. 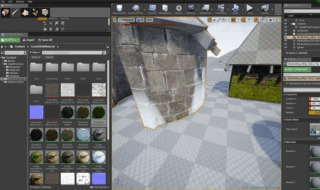 Epic Games never ceases to delight us with UE4 updates. Unfortunately, transfer to each new version of the engine is accompanied by a number of errors, which can not always be fixed quickly. These errors often happen because guys from Epic Games had unscrewed something that prevented them to update something, made the update and forgot to screw that thing back. All these transfers take time, but are vital for the project, since each version is primarily optimization, which is our priority. 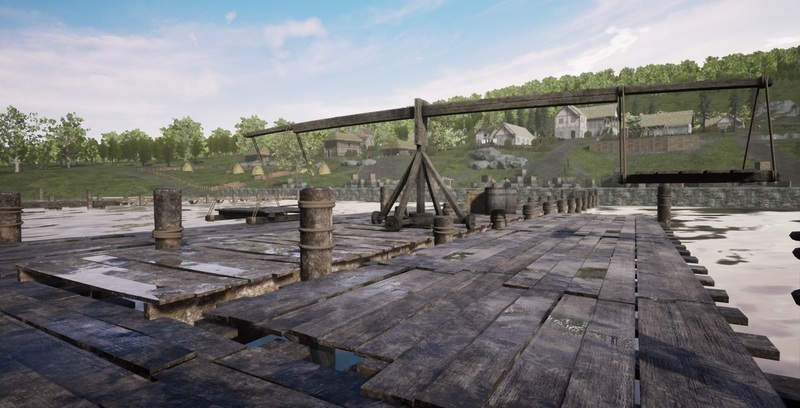 Since publishing the last devblog, the project has successfully passed version 4.18 and is now at the stage of transfer to stage 4.19. 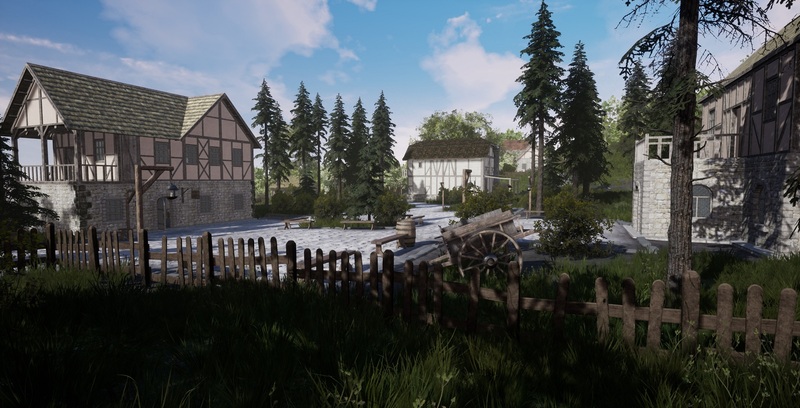 Sooner or later we will have to stop at some version of the engine and complete the game on it, but while time and resources allow us, we adhere to the concept of implementing the latest developments in ROG. Concluding the Devblog 4, we want to tell you, our patient readers, that in the near future we will definitely share our next plans with you. Because there are plenty of them. While the text of this blog is already long enough. Thank you for being with us! Follow the news on our website, forum and social networks!